Chizuo Matsumoto, the former leader of the Japanese doomsday cult Aum Shinrikyo, was executed on Friday, NHK reported. Matsumoto, also known under the alias Shoko Asahara, is reportedly the first of 13 individuals scheduled to be executed for their roles in orchestrating the 1995 sarin gas attack on a Tokyo subway. 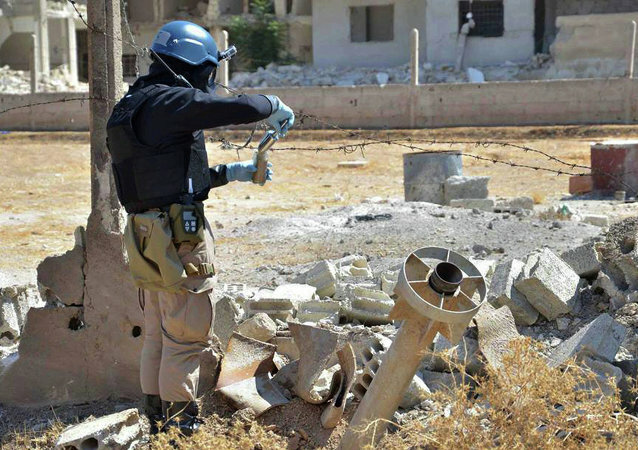 MOSCOW (Sputnik) – The Fact-Finding Mission (FFM) of the Organisation for the Prohibition of Chemical Weapons (OPCW) confirmed on Wednesday that chemical weapons were "very likely used" in Syria’s Ltamenah on March 24 and 25 2017, the OPCW said. GENEVA (Sputnik) - There is still no information about the illegal use by Damascus of isopropanol imported from Switzerland to Syria, however, Bern will strengthen control over supplies of this substance, a spokesman of the State Secretariat for Economic Affairs (SECO) in the Swiss government told Sputnik on Friday. 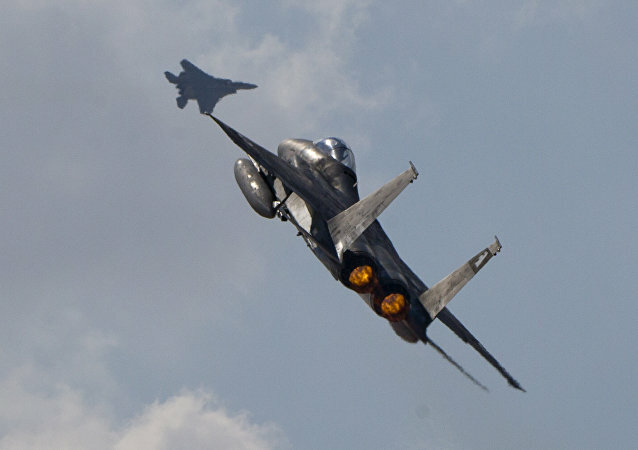 The Israeli airstrike on the Syrian T-4 airbase could have been prompted by Tel Aviv's desire to trigger a confrontation with Iran, Turkish military analysts opined, speaking to Sputnik. They threw into doubt the possibility of a chemical attack in Douma, dubbing it a staged performance. A memorial ceremony was held in Tokyo Tuesday to mark the 23rd anniversary of the March 20, 1995, deadly sarin attacks on the central Tokyo subway perpetrated by the Aum Shinrikyo cult. BEIRUT (Sputnik) - The Syrian army has uncovered a clandestine plant in Eastern Ghouta that was used by the terrorists to produce military-grade agents, with equipment of Saudi origin and materials presumably made in Western countries having been found at the building, local media reported on Tuesday. Washington is looking into the possibility of launching new attacks against Syria, according to US Director of National Intelligence Dan Coats, as the new strikes could come as a response to the Syrian government’s alleged use of chemical weapons. Radio Sputnik spoke with senior lecturer at the University of Sydney, Dr. Tim Anderson. The United Nations has shared a yet-unreleased report with US newspapers contending that North Korea has been sending material to Syria to make chemical weapons, but Rick Sterling of the Syria Solidarity Movement says there is good reason to be skeptical. The recent report on the chemical attack in Khan Sheikhoun held Damascus responsible, however, investigators haven't even visited the site of the incident. 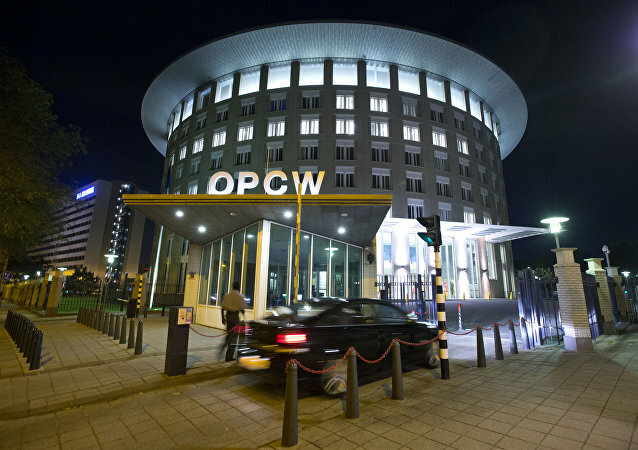 The Russian Foreign Ministry says that the UN-OPCW report on Khan Sheikhun focuses solely on justifying the conclusions presented by the US that Damascus is responsible for the chemical attacks and tailors the facts to this version. 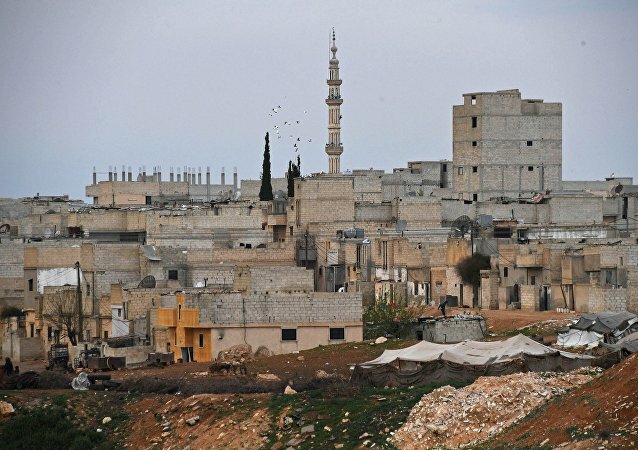 A professor at Massachusetts Institute of Technology, Theodore A. Postol, has commented in an interview to Sputnik on the latest report on the probe into April's chemical attack in the Syrian town of Khan Sheikhoun. 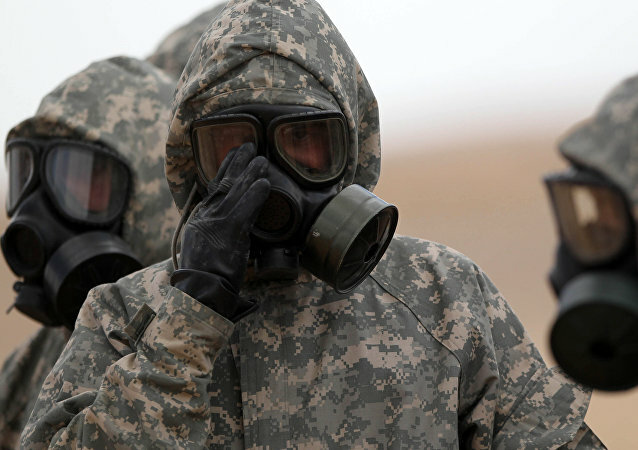 Despite the detection by the US-Led coalition forces the considerable stockpiles of chemical weapons in Daesh territories, the US State Department has said that a new UN report makes Damascus responsible for the alleged use of highly toxic agent sarin in Khan Shaykhun. 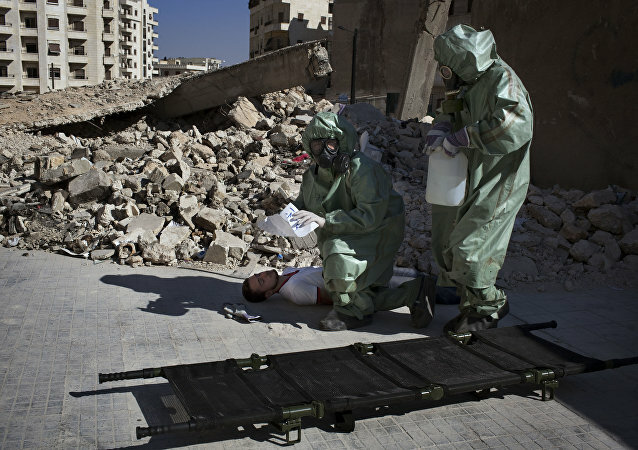 The Russian Foreign Ministry has strongly criticized the attempts to distort Moscow's position on the extension of the Organization for the Protection of Chemical Weapons (UN-OPCW) probe into alleged use of chemical weapons in Syria. Russian Foreign Ministry said on Friday that Moscow tends more to opt for the "staging" version of the chemical attack in Syria’s Idlib Province earlier this year as the Organisation for the Prohibition of Chemical Weapons has confirmed previously the full destruction of Damascus's Soviet-era stockpiles. 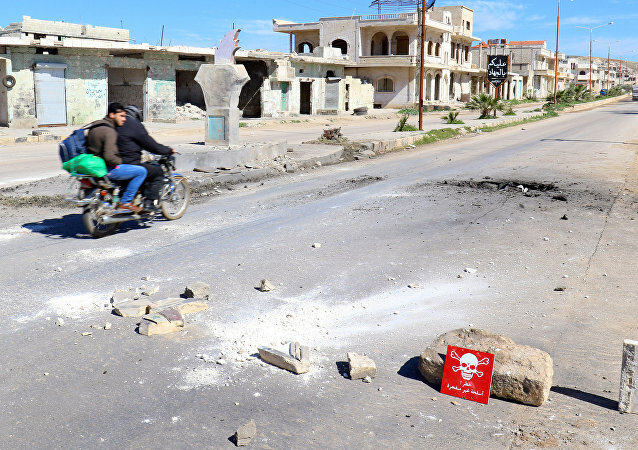 The Organisation for the Prohibition of Chemical Weapons said Thursday that it had found evidence of the use of sarin or sarin-related chemicals following an incident in Syria’s Hama province in March.